Deep within the Indonesian city of Jakarta, lies a hellish place - a safe haven for violent criminals and drug dealers. This 30 floor apartment block is a no-go area, even for the bravest of the city’s police force. Determined to regain control, a team of police officers enter the building in an attempt to flush out the criminals - floor by floor. However, it is only once in that they realise the enormity of their task and their battle becomes one of survival. I am not (usually) one for violent films but I have always enjoyed martial arts movies because I love the dance-like physicality of the performances. As a result, I loved watching The Raid. It is a non-stop, action packed film with a simple, yet engaging plot and a central character about which I genuinely cared. I did find some of the violence hard to watch. However, the film doesn’t dwell on any suffering. It moves too fast for that and I was too busy marveling at the performances anyway. Stuck For Good Movies To Watch? Click Here And Get Strategic With Your Movie Choices! 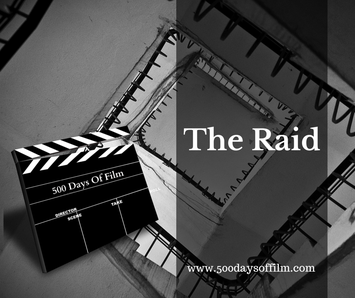 Before I watched The Raid, I listened to the film’s director, Gareth Evans talk about how he and his team had taken his concept and made it a reality. I found this fascinating - particularly because it is easy to write off an action film as being a series of violent episodes and not think too much (perhaps) about the effort they take to devise, plan and film. So it was with this in mind that I watched The Raid. As every action scene took place (and there are many) I thought about how cleverly constructed and choreographed they were and how much effort must have gone into every scene. Honestly, it blew my mind. I have no idea how the actors managed to perform such prolonged, intricate action sequences - it felt exhausting enough to watch! As well as reveling in the action scenes, I also enjoyed the film’s story - I thought it was really powerful, compelling and, contrary to what I had expected given the violence involved, I enjoyed every single minute. I am really looking forward to watching The Raid 2 now! Have you seen The Raid? What did you think? Did you enjoy it? Was it too violent? Do let me know your thoughts and feelings in the comments section below.